A longstanding, successful and frequently controversial career spanning more than four decades establishes David Bowie as charged with contemporary cultural relevance. 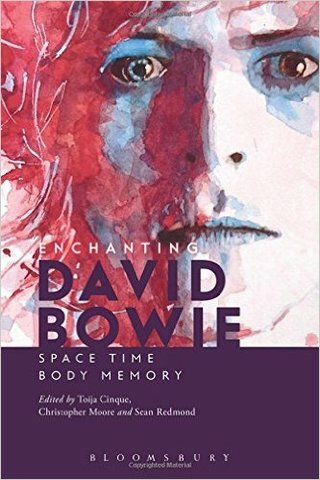 That David Bowie has influenced many lives is undeniable to his fans. He requisitions and challenges his audiences, through frequently indirect lyrics and images, to critically question sanity, identity and essentially what it means to be 'us' and why we are here. Enchanting David Bowie explores David Bowie as an anti-temporal figure and argues that we need to understand him across the many media platforms and art spaces he intersects with including theatre, film, television, the web, exhibition, installation, music, lyrics, video, and fashion. This exciting collection is organized according to the key themes of space, time, body, and memory - themes that literally and metaphorically address the key questions and intensities of his output.